With awards season just around the corner, the first batch of award nominations are beginning to trickle in. The nominees for the 76th Golden Globe Awards were recently announced, which acknowledge the arts of both film and television. While many of the nominated works aren’t available yet to purchase, here is a list of the nominated movies and television series owned by the Sewickley Public Library! If you’d like the full list of nominees, click here! This past weekend, my friends and I sat down to accomplish what we considered to be one of the nerdiest things we had ever done: marathon the Lord of the Rings trilogy (extended editions, of course) while eating all the foods from the series along with the characters. We can’t claim credit for the idea, as we were inspired by this Twitter thread. Here’s some ideas on how to hold your own food-filled Lord of the Rings marathon! 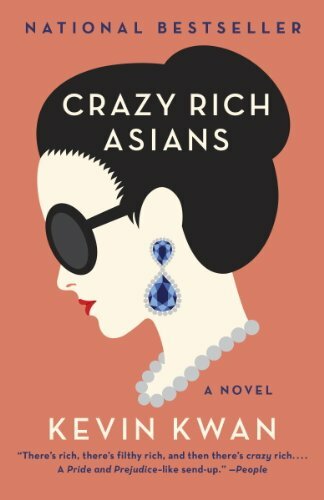 Starring Constance Wu (Fresh Off the Boat), this adaptation of Kevin Kwan’s national bestseller comes out on August 15, 2018. The movie follows Rachel Chu, an American woman who finds out her boyfriend secretly comes from an extremely wealthy and powerful family in Singapore. You can watch the trailer here! This supernatural horror novel is coming to the big screen on August 31, 2018. From the director of 2015’s Academy Award-winning film Room and starring Domhnall Gleeson (Star Wars) and Ruth Wilson (Jane Eyre), the film will tell the tale of a British doctor’s terrifying experience at a family’s countryside estate. You can watch the trailer here! Saoirse Ronan (Lady Bird), Margot Robbie (I, Tonya), and David Tennant (Doctor Who) are just a few of the talented actors in this film’s star studded cast. 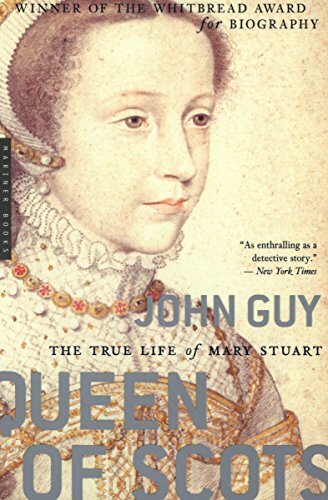 Saoirse Ronan stars as Mary Stuart opposite Margot Robbie as Queen Elizabeth I. Written by the creator of Netflix’s House of Cards, the film is scheduled to be released on December 7, 2018. You can watch the trailer here! 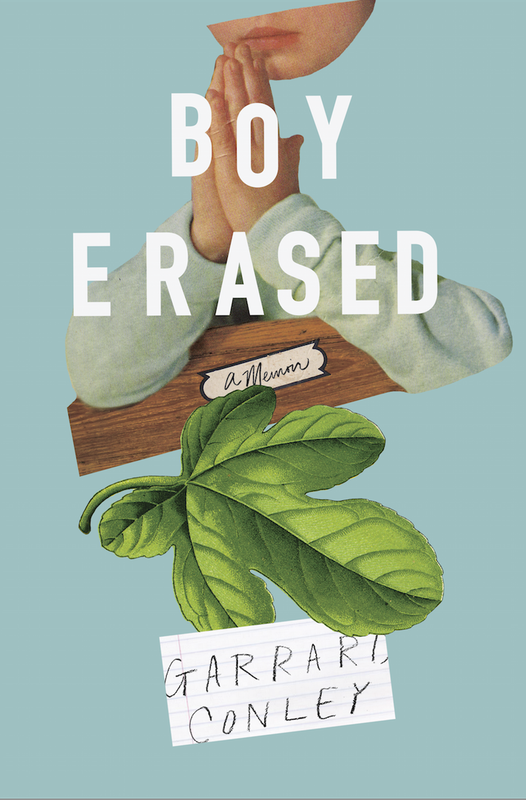 Coming to theaters September 28, 2018, this film tells the harrowing true story of Garrard Conley, who was outed as gay at age 19 and sent to a gay conversion therapy program by his parents. The movie stars Joel Edgerton (Red Sparrow), Nicole Kidman (Big Little Lies), and Russell Crowe (Gladiator). You can watch the trailer here! 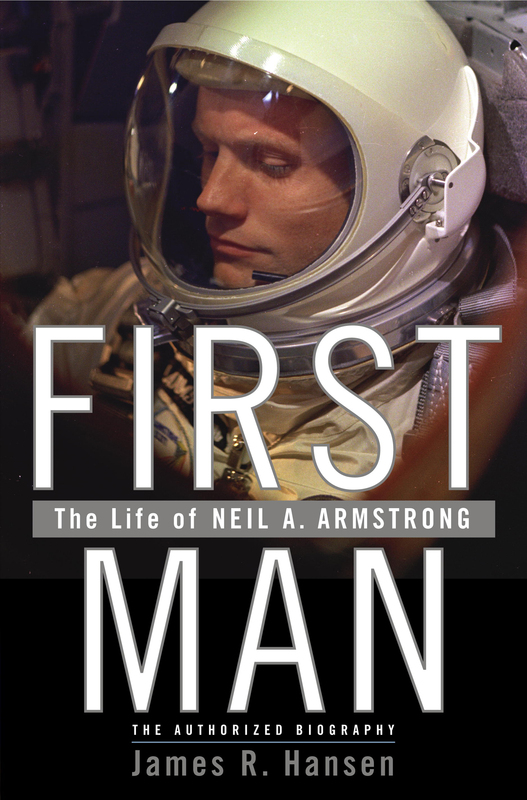 Ryan Gosling (La La Land) stars as Neil Armstrong in this biographical film about the first astronaut to walk on the moon. Directed by Damien Chazelle of La La Land and Whiplash, the movie is set to be released on October 12, 2018. You can watch the trailer here! Cate Blanchett (Carol) stars as the titular Bernadette, who disappears and is pursued by her teenage daughter. The movie also features actors Kristen Wiig (Saturday Night Live, and Laurence Fishburne (The Matrix), and directed by Richard Linklater, director of the 2014 Best Picture Academy Award-winning movie Boyhood. The release date is set for October 19, 2018. 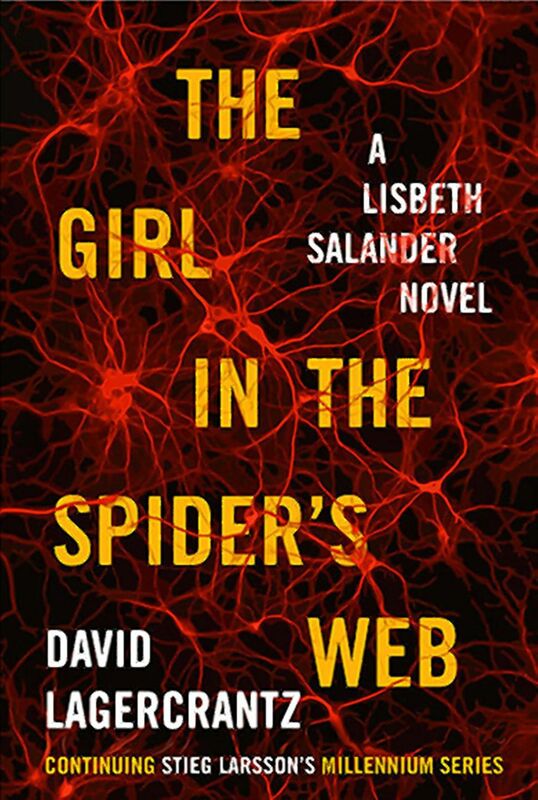 In this sequel to The Girl With the Dragon Tattoo, Claire Foy (The Crown) takes over the role of Lisbeth Salander, a computer hacker who teams up with a journalist to investigate corrupt government. The movie comes out on November 9, 2018. You can watch the trailer here! This movie follows a New York City detective as he goes up against the Italian mafia. The film is produced by Leonardo DiCaprio (The Revenant), who also stars in the movie. No release date has been announced yet, but the movie is expected to hit theaters in 2019. Produced by Peter Jackson, director of the award-winning Lord of the Rings trilogy, Mortal Engines tells the tale of a post-apocalyptic future in which humans are forced to live in moving cities, and suffer under a corrupt government. The movie is set to be released on December 14, 2018. You can watch the trailer here! In this reimagining of Shakespeare’s Hamlet, Daisy Ridley (Star Wars) stars as Hamlet’s forbidden love, and stars Naomi Watts (The Glass Castle) and Tom Felton (Harry Potter). The film premiered at the Sundance Film Festival in January 2018, but is set to be released in theaters later this year. 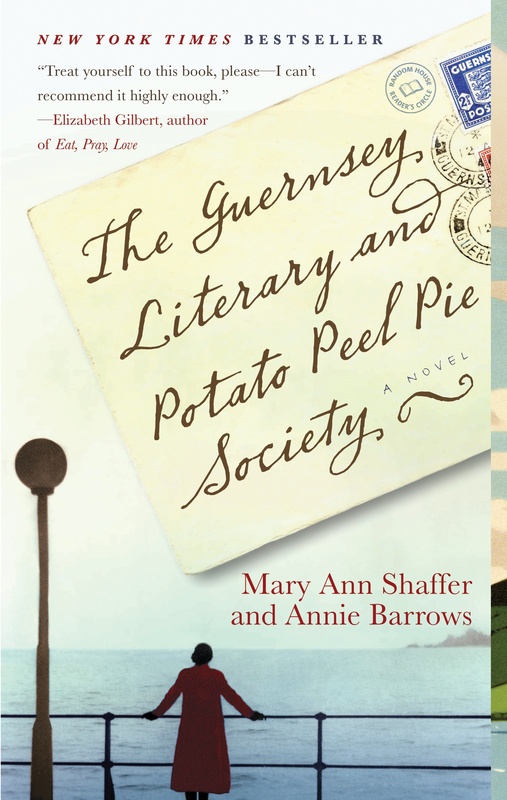 From the producer of The Best Exotic Marigold Hotel, this movie tells the story of a British author, played by Lily James (Cinderella), who travels to the island of Guernsey at the end of World War II, where she meets a book club that began as an alibi during the island’s German occupation. Netflix has purchased the streaming rights to the film, which will be released through their service on August 10. You can watch the trailer here! 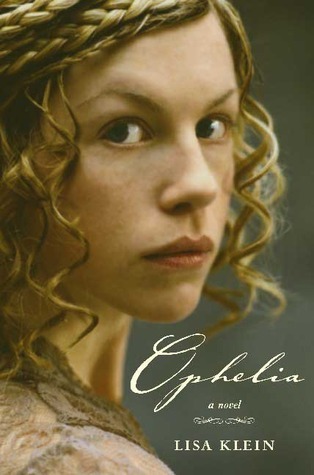 Sylvia Plath’s famous novel is once again coming to the big screen, this time directed by Kirsten Dunst (Marie Antoinette). The movie tells the tale of Esther, played by Dakota Fanning (The Alienist), and her struggle with her mental health. No official release date has been announced, but the film is expected to hit theaters in 2018. 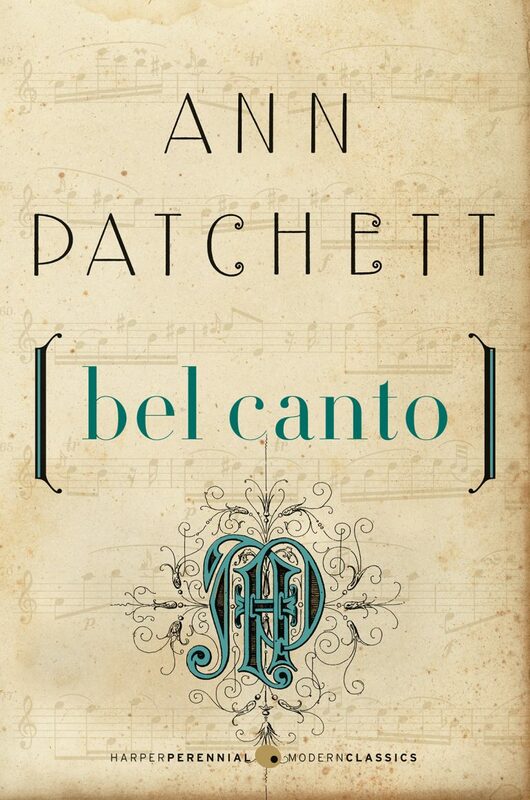 From the mind behind Mozart in the Jungle, Bel Canto tells the story of an opera star, played by Julianne Moore (Still Alice), and several other members of an embassy party as they are taken hostage by terrorists. The film also stars Ken Watanabe (The Last Samurai), and is set for a September 2018 release. 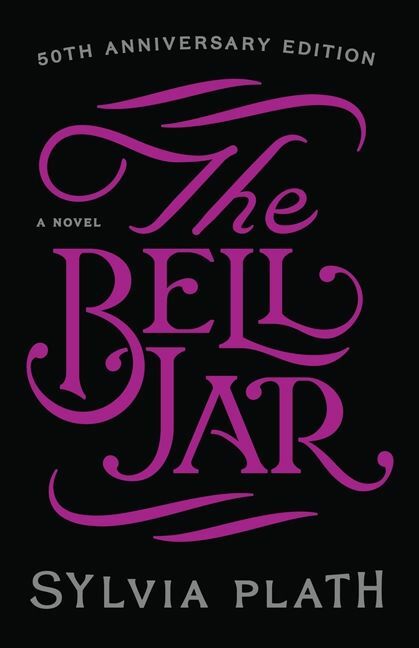 This Pulitzer Prize-winning novel has been developed into a star-studded adaptation, with names such as Ansel Elgort (Baby Driver), Nicole Kidman (Big Little Lies), and Sarah Paulson (American Horror Story). The movie tells the tale of a young man living in Las Vegas with his deadbeat father, where he gets involved in the dangerous world of art forgery. The film is set to be released on October 11, 2019. 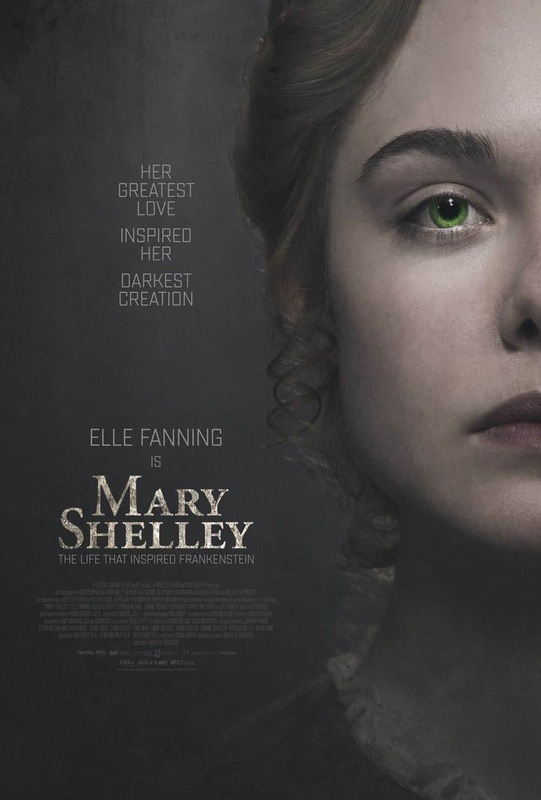 Currently in theaters, this movie tells the tale of literary legend Mary Shelley, who wrote Frankenstein when she was just eighteen. 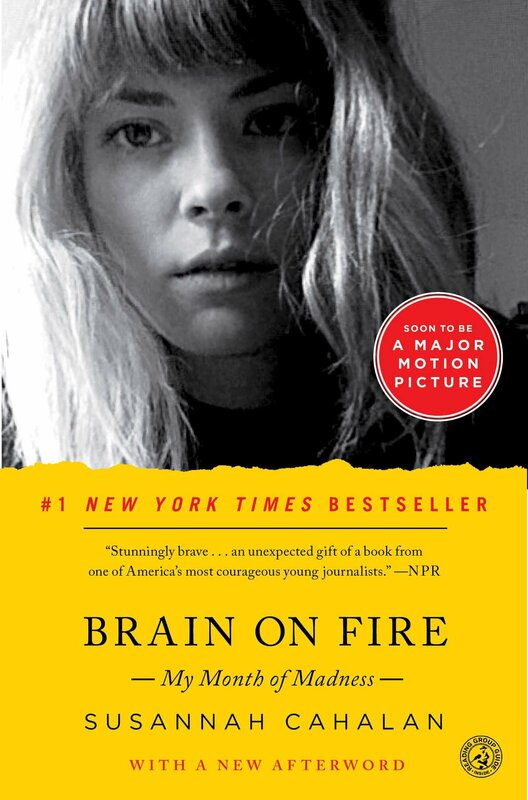 Elle Fanning (The Neon Demon) stars in the titular role as the movie follows Shelley through her stay in Geneva, in which she wrote Frankenstein as a part of a competition to write the best horror story between herself, Percy Bysshe Shelley, and Lord Byron. Though it is not based on a book, the film tells the story of how one of fiction’s most famous monsters came to be. You can watch the trailer here! Doesn’t matter what your mom is like, we have movies for all of the moms! Area X has been cut off from the rest of the continent for decades. Nature has reclaimed the last vestiges of human civilization. The first expedition returned with reports of a pristine, Edenic landscape; the second expedition ended in mass suicide, the third expedition in a hail of gunfire as its members turned on one another. The members of the eleventh expedition returned as shadows of their former selves, and within weeks, all had died of cancer. In Annihilation , the first volume of Jeff VanderMeer’s Southern Reach trilogy, we join the twelfth expedition. Madeleine L”Engle”s ground-breaking science fiction and fantasy classic, soon to be a major motion picture. The bestselling cult classic–soon to be a major motion picture directed by Steven Spielberg. At once wildly original and stuffed with irresistible nostalgia, READY PLAYER ONE is a spectacularly genre-busting, ambitious, and charming debut–part quest novel, part love story, and part virtual space opera set in a universe where spell-slinging mages battle giant Japanese robots, entire planets are inspired by Blade Runner , and flying DeLoreans achieve light speed. Watch out for these great titles about to become movies! After their zoo was bombed, Polish zookeepers Jan and Antonina Zabinski managed to save over three hundred people from the Nazis by hiding refugees in the empty animal cages. With animal names for these “guests,” and human names for the animals, it’s no wonder that the zoo’s code name became “The House Under a Crazy Star.” Best-selling naturalist and acclaimed storyteller Diane Ackerman combines extensive research and an exuberant writing style to re-create this fascinating, true-life story―sharing Antonina’s life as “the zookeeper’s wife,” while examining the disturbing obsessions at the core of Nazism. Looking for a Good Mystery to Watch? Check out this list of recommended titles from one of our librarians! The Bourne Identity (2002) Found with two bullets in his back, Jason Bourne discovers that he has the skills of a very dangerous man and no memory of his violent past. Racing to unlock his secret identity, he discovers that he’s an elite government agent that his government no longer trusts. Clue (1985) Who killed Mr. Boddy? Was it Colonel Mustard in the study with the gun? Miss Scarlet in the billiard room with the rope? Or was it Wadsworth the butler? Dial M for Murder (1954) A man devises a plan to murder his wife for her money. Flypaper (2011) A nervous bank customer has a crush on beautiful teller. They and the other staff and customers become hostages when two very different groups of crooks hit the bank simultaneously. When people begin mysteriously dying one by one, everyone involved begins to wonder if there’s someone else in the bank up to no good. Locker 13 (2014) An anthology feature film comprised of five vignettes. Each story is connected by a mysterious locker 13. The Maltese Falcon (1941) Detective Sam Spade goes in search of a priceless statuette after the death of his partner. Memento (2000) An intricate crime story about a man who has lost his short term memory due to a rare brain disorder. Now he is out to catch his wife’s murderer, whose identity he cannot ever know for sure. 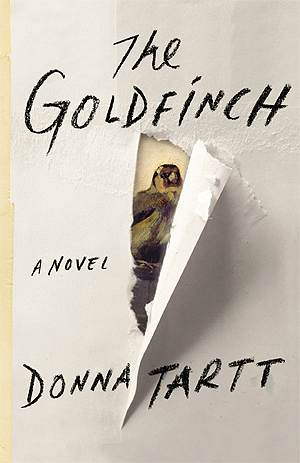 The more he tries to figure out what is true and real, the more he sinks deeper into a multi-layered abyss of uncertainty and surprises. Murder by Decree (2003) Sherlock Holmes and Dr. Watson conduct a gruesome and dangerous search through London’s squalid east end for the legendary Jack the Ripper. They soon discover that he is no ordinary murderer, but one with influential and determined friends. 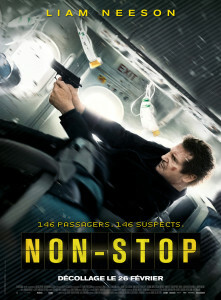 Non-Stop (2014) During a transatlantic flight from New York City to London, U.S. Air Marshal Bill Marks receives a series of cryptic text messages threatening to kill a passenger every 20 minutes unless $150 million is transferred into an off-shore account. 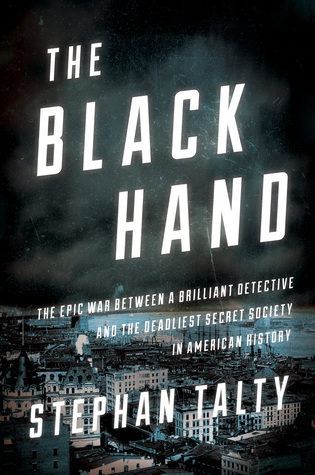 With lives of hundreds of passengers hanging in the balance, Marks must use every nuance of his training to uncover the killer traveling on the aircraft. Out of the Furnace (2014) When Rodney Baze mysteriously disappears and law enforcement doesn’t follow through fast enough, his older brother, Russell, takes matters into his own hands to find justice. Reach Me (2014) A motivational book written by a mysterious man quickly gains popularity, inspiring a group of people that includes a journalist, his editor, a former inmate, a hip-hop mogul, an actor and an undercover cop to re-evaluate their choices and decisions by confronting their fears in hopes of creating more positive lives. Restless (2015) Haunted by the death of her brother at the hands of fascist thugs, Russian émigré Eva is recruited to be a British secret agent by a shadowy figure. After proving her merit in the field, she is sent on the most dangerous mission of her life. She must use any means necessary to manipulate the American press and draw the States into World War II. Sherlock Holmes (2009) After finally catching serial killer and occult ‘sorcerer’ Lord Blackwood, legendary sleuth Sherlock Holmes and his assistant Dr. Watson can close yet another successful case. After his execution, Blackwood mysteriously returns from the grave and resumes his killing spree, Holmes must take up the hunt once again. A Time to Kill (1996) A murder trial brings a small Mississippi town’s racial tension to the flashpoint. Amid a frenzy of activist marches, Klan terror, media clamor and brutal riots, an unseasoned but idealistic young attorney mounts a stirring courtroom battle for justice. The Two Mrs. Carrolls (1947) A psychopathic artist paints his wives as angels of death before poisoning them. 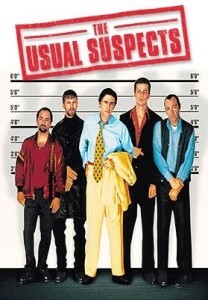 The Usual Suspects (1995) Police investigating an exploded boat on a San Pedro pier discover the only survivors are a severely burned Hungarian terrorist and Roger Kint, a crippled con-man. Reluctantly, Kint explains what happened. His story begins six weeks earlier with five criminals being dragged in by police desperate for suspects in a truck highjacking, and ends with the possible identification of a criminal mastermind. Vertigo (1958) Scottie Ferguson, a recently retired San Francisco police detective, is hired to shadow a rich shipbuilder’s tragically suicidal wife. After he saves her from drowning in the San Francisco Bay, Scottie’s interest in the beautiful but icy blonde shifts from business to romance. But when tragedy strikes again, Scottie must overcome the vertigo that haunts his dreams in order to unravel the secrets of the past and find the key to his future. A Walk Among the Tombstones (2015) Private investigator Matthew Scudder is hired by a drug kingpin to find out who kidnapped and murdered his wife. Agatha Christie’s Poirot (1990 -) With the his razor-sharp mind and the aid of the affabel Captain Hastings, Poirot unravels the thorniest cases without mussing a hair of his famously sculpted mustache. Grantchester (2014) It’s 1953 and Sidney Chambers is vicar of Grantchester, a village just outside Cambridge, England. Sidney’s is a quiet life. He tends to his flock, keeps up with his jazz collection, and does his best to contain his passion for beautiful heiress Amanda Kendall. 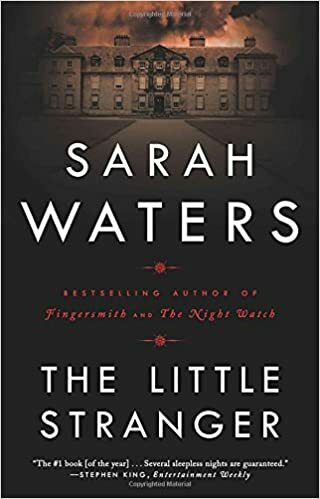 But when one of his parishioners dies in suspicious circumstances, Sidney quickly finds that people confide things in a parish priest that they would never tell police. Murder on the Home Front (2014) During the London Blitz of 1940, people live life in the moment–and criminals use the blackout and devastation to hide their darkest activities. As the Luftwaffe drop their bombs, people below are literally getting away with murder. Murdoch Mysteries (2009 -) In the 1890’s, Detective William Murdoch adopts modern techniques like ‘finger marks’ and forensics to track Toronto’s most sinister killers. Though derided by his skeptical boss, Murdoch finds friends and allies in a lovely pathologist and an eager-to-learn constable. Sherlock (2010) Offers a contemporary take on Arthur Conan Doyle’s classic tales. A Touch of Frost (1992 -) Detective Inspector Jack Frost is a policeman with a knack for trouble. In the dreary town of Denton, he approaches each case with his characteristic wit and sense of moral justice.